It’s Mog’s birthday, and this year he has a special wish. 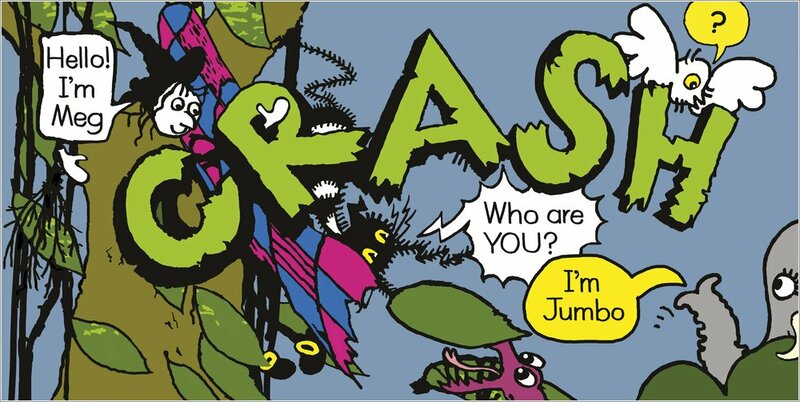 He wants to visit the jungle! 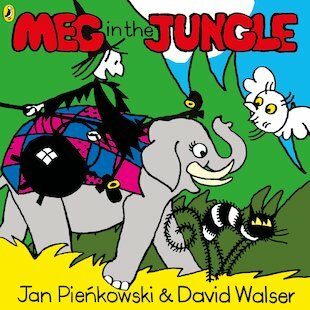 So he and Meg fly all night on Meg’s broomstick to a jungle world of friendly elephants and slithery snakes. But when they bump into a tiger without any stripes, Meg wants to help it. So she casts a wonky little spell. Uh-oh! Oops! Magical jungle fun from a classic series that’s been making little people smile for over 40 years. Meet a little witch whose spells always go wrong!